After decades of advocacy, the Mizrahi experience will now be taught in Israeli history courses. For three horrifying days in November 1945, Libyan Jews were terrorized by local Arabs. More than 140 Jews, including 36 children, were killed, 4,000 were left homeless, approximately 1,000 homes and businesses were plundered, and nine synagogues were destroyed. A few years earlier, Sultan Mohammed V of Morocco protected his Jewish subjects from the anti-Semitic race laws of the Vichy regime. When anti-Jewish hatred erupted across the country in 1948, Mohammed V once again came to the defense of Moroccan Jewry. Knowledge of the Libyan pogrom is basic for understanding Libyan Jewry’s aliyah to Israel, while knowledge of Mohammed V’s protective stance is basic for understanding the affection that Moroccan Jews around the world still feel for the monarchy. Just don’t ask your average Israeli high school graduate about these events. Why? Because odds are that he or she didn’t learn anything about them during twelve years in the Israeli school system. The Biton Committee divided its work into nine subcommittees. The subcommittees were manned by 80 academics and experts who met weekly or biweekly in order to address different aspects of the Mizrahi story. Aside from a brief introductory synopsis, the report is, essentially, a summary of the work done by the different subcommittees. The committee also recommends utilizing the period around November 30th, designated Mizrahi Heritage Day by the Knesset in 2014 in order to commemorate the flight of Jews from Arab and Islamic lands, for teaching students about Mizrahi history and culture. Subsequent to its release, the Biton Report generated front-page headlines in the Israeli press as well as numerous op-ed pieces and analyses—for, against, and somewhere in between. The background to this criticism deserves to be noted. In the last general election, Bennett made a heavy-handed play for the Mizrahi vote by placing retired Mizrahi soccer star Eli Ohana on the Jewish Home’s electoral list. Over the years, religious-Zionist institutions have earned a reputation for being tone deaf to Mizrahi concerns, and appointing a Mizrahi ex-athlete was nothing if not tone deaf. As in: Really, you couldn’t find any qualified Mizrahi figures except for an ex-soccer player? In American terms, it would be as if the Republican Party decided to reach out to the African-American community by asking Emmitt Smith to run for Congress. And make no mistake, the depth of the connection to Jewish tradition is what distinguishes Mizrahi culture from Ashkenazi culture in Israel. The roots of the split go back to the beginning of the 20th century, when secular and socialist European-Jewish Zionists rebelled against Jewish tradition by “negating the Diaspora” in order to fashion a “new Jew” in the Land of Israel. These animating principles were unknown to Mizrahi Jews, but they got to know them pretty quickly when, upon arrival in the country in the 1950s and ‘60s, they “learned” in school and via the media that their traditional Jewish identity was a primitive relic of the Diaspora that deserved to disappear into a new secular-socialist melting pot. The pain caused by this still lingers. It is in this context that one can appreciate the importance of Biton’s poetry, and the significance of Bennett’s decision to appoint Biton to lead the committee. 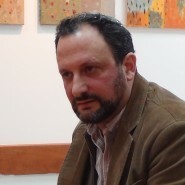 Poet and critic Eli Hirsch has called Biton “the founding father of a new and significant tradition in the history of modern Hebrew poetry—Israeli Sephardic poetry.” The main difference between Biton’s poetry and Israel’s traditionally Ashkenazi literary climate is precisely the connection to Jewish tradition. Writing in the 2015 issue of The Sephardi Report, a magazine that I edit, Hirsch detailed how Ashkenazi Israeli poets working in the ‘50s and ‘60s set the tone for Israeli poetry by accepting the negation of the Diaspora as a fact of life, but then recast this historical negation as an example of the “existential” condition of modern Western man. While Biton’s poetry articulates various levels of displacement, his outlook nevertheless remains communal while preserving the link to Diaspora tradition. In other words, Biton’s poetry, like the Mizrahi experience itself, is not grounded in alienation from Jewish tradition. In the report’s preface, he characterizes the report as “a unique historical opportunity with far-reaching consequences.” This opportunity is for Israeli society to emancipate itself from “the melting pot ideology that sought to fashion a new Jew cleansed of any exilic element,” while the “far-reaching consequences” include grounding Israeli identity in a Middle Eastern milieu. One of the most articulate spokesmen for the contemporary relevance of Mizrahi heritage is Hebrew University professor of philosophy Meir Bouzaglo. Son of Rabbi David Bouzaglo, the premier Moroccan-Jewish composer and vocalist of the 20th century, the younger Bouzaglo has penned a number of important essays about the culture of Jews from Islamic and Arab lands (a description he prefers to “Mizrahim”). 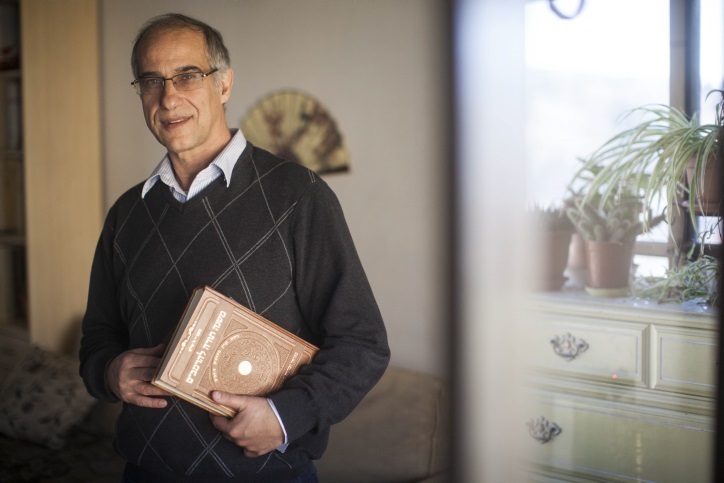 He has also spearheaded the introduction of Middle Eastern piyyutim—liturgical poems and music—into Israel’s public sphere. While the Biton Report was criticized in some quarters for overemphasizing the Zionist dimension of the Mizrahi experience, Bouzaglo argued in Haaretz that the report insufficiently emphasized the role that Mizrahi heritage can play in fashioning a shared foundation for Israeli society as a whole. This self-definition can be confusing to Western Jews, but studies have shown that it is relatively common in Israel. Political scientist Daniel Elazar, the first president of the American Sephardi Federation, helpfully elucidated how “traditional” Jews relate to Judaism: While feeling that “they must formally be faithful to the traditions of their fathers,” they still reserve the right “to determine how they individually will maintain those traditions.” In other words, for masorti Jews, tradition is less a commanding voice from above than an inheritance lovingly received from one’s parents and grandparents. Thanks to this softer form of submission, traditional Jews feel comfortable attending synagogue on Friday night, eating a traditional Shabbat meal, and then putting on a movie—an act that is forbidden by Jewish law. Lest one confuse Mizrahi traditionalism with a kind of reform movement, the fundamental difference between traditional Mizrahi Judaism and Conservative and Reform Judaism is that traditional Mizrahi Jews don’t transform deviations from inherited tradition into an ideology. The important thing for Israel’s present political purposes is that masorti Judaism charts a moderate, middle path between extreme religious and anti-religious passions. The challenge, Bouzaglo noted, is to elaborate and extend Mizrahi traditionalism so that it enriches Israel’s public life. Bouzaglo has pursued this goal for the past decade by promoting the piyyut movement, a wonderful example of how Mizrahi tradition can enrich Israeli culture and society. We are thus compelled to return to the Zionist passions and political ambitions of Education Minister Naftali Bennett. He can already claim one achievement, as the Education Ministry announced at the beginning of August that middle and high school students will be required to study post-1492 Mizrahi history. 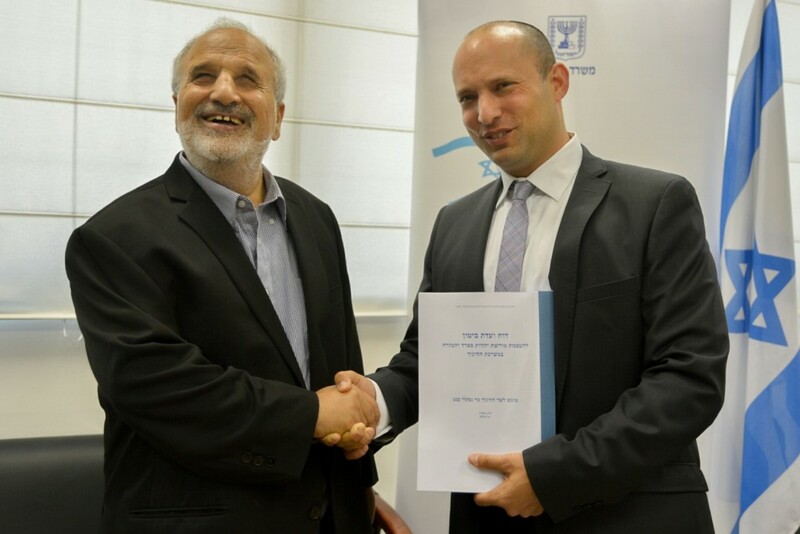 If Bennett decides to fight for the money to implement additional elements of the report, Mizrahi heritage will become an integral part of Israeli education. What’s more, there is a reasonable chance that the Jewish Home will earn the support of traditional Mizrahi Jews who, historically, have voted Likud. And it will conclude a fascinating chapter in the education of a political figure who, not too long ago, tried to win over the hearts of Israel’s Mizrahim by drafting an ex-soccer player into his party.